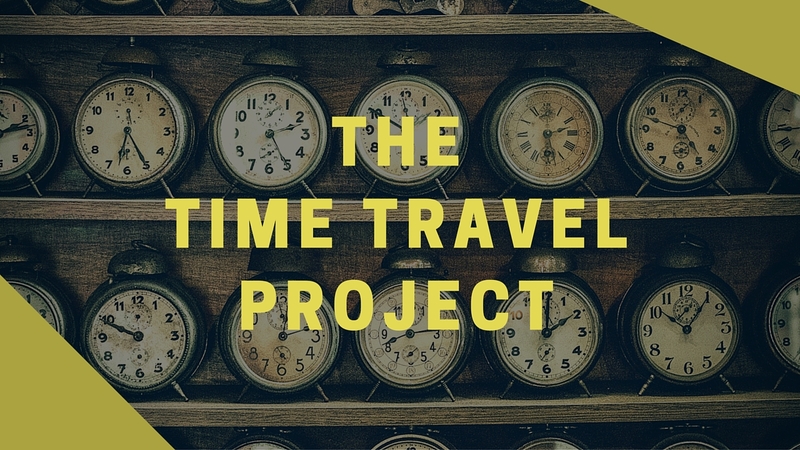 The Time Travel Project is a new regular feature in which Ana reads Time Travel novels, new and old. More on the feature here. 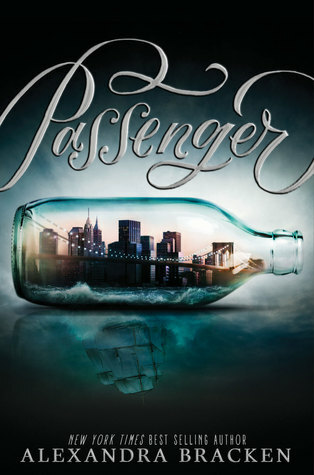 Passenger is the first in a duology by Alexandra Bracken and Ana’s first official read for The Time Travel Project. Etta Spencer is a violin prodigy in present day New York, about to debut with her first recital. The day of her performance is marked by the adrenalin rush that follows such events, the continuing need to placate both her difficult-to-please mother Rose and her loving mentor Alice as well as Etta’s own sense of self-worth. Sacrifices – no social life to speak of, breaking up with a boyfriend – were made just so she could be there and succeed. That emotional conflict is amped up when just before going on stage, Etta overhears a heated argument between her Rose and Alice about Etta in which the former seems to be supportive and the latter, to Etta’s incredulity and dismay, disparaging of Etta’s prowess. Determined to prove Alice wrong, Etta goes on stage anyway. This sense of how capable Etta is of intense commitment as well as her fierce love for those close to her are thus established from the early chapters in the book – and those will serve her well in the days to come. For the day of her performance is also the day where everything changes. She is in the middle of it when it starts: a buzz in her ears that only Etta can hear. The only person who seems to know what is going on is a fellow artiste named Sophia who pursues Etta backstage where Etta shockingly finds Alice murdered just as she is pushed through a passage and lands – impossibly, ridiculously, surely-not – on a ship, in the middle of the ocean, in the 18th century. Sophia is there too and soon Etta finds out she is a traveller misplaced from her own time, the early 20th century sent to kidnap Etta by the patriarch of the Ironwoods, the family who controls time travel and who have shaped the world as we know it. He wants Etta for nefarious reasons. The ship has been pirated away by a strapping young fellow named Nicholas Carter, a freed slave, an Ironwood in blood but not in name, working for the Ironwoods to pay off a debt of honour, and who is immediately attracted to Etta and her fierceness. Etta also learns that her mother is a time traveller from a different family and that Etta has inherited this legacy that allows her to travel in time. Unfortunately for her and unlike most travellers, she grew up without having been taught the rules necessary to understand that skill and to survive in the cutthroat world of time travelling. And boy, talk about ruthless: the Ironwoods are now the only surviving time travelling family out of four, living under the merciless terror of their Grandfather Cyrus who forces and blackmails Etta and Nicholas to go after an important artefact – an astrolabe – that has been lost to time, hidden by Etta’s own mother. The idea here is that since Etta has a time travelling carbon footprint equalling zero, she is free to go to times and places closed off to other folks. And this is only the basic set-up of this strapping tale that follows Nicholas and Etta as they rush through different eras. Passenger is the first in a duology by Alexandra Bracken and my first official read for The Time Travel Project. The novel turned out to be a mixed bag – successful in certain areas, disappointing in others. Its success lies with the basic framing, the story of the warring families, the secrets hidden away by the Ironwoods and Etta’s mother as well as with the fun adventures of Nicholas and Etta as they travel through time, get to know each other better (their romance is an unfortunate inevitability, but more on that later), and experience moments of anachronistic awkwardness. A couple of examples would be when Etta witnesses Nicholas’ horrendous experiences with racism just as she muses that he would not be completed freed from it in her own time; or for Nicholas to see modernity – electricity, cars, buses – just as he understands how out of place those things are for him. On the other end of the spectrum, Passenger feels unnecessarily overlong, weighed down by lengthy stretches of exposition and repetitious tension surrounding Etta and Nicholas’ extremely rushed relationship. To the latter, although their romance goes refreshingly beyond PG and they actually talk through their problems later on, the earlier part of the novel is overloaded with slightly boring internal monologuing that reads more forced than natural and too soon they are exchanging Forever Love You Vows. My main problem with their romance is that it often feels more inevitable than earned. That inevitability is shoehorned from the moment they meet: even though there is Grave Peril and Etta is at that very moment fighting for her life, the two immediately check each other out. Not only that, after they barely exchange two words, another character is already expressing how “she is right for Nicholas” – based on very little evidence. The foundation seems wobbly but in fairness, toward the end of the novel, the edifice of their love is fairly established. Plus, to the novel’s credit, the ending when it comes, is twisterific and adds an extra layer of tension to both the overall proceedings and to their romance. I am interested to see how the second novel pans out – I am intrigued by the turn of events and I want to see if the Astrolabe turns out to be a MacGuffin. Brilliant review. I think this will have to be the first book I check out in this genre. This is such a good feature idea! There’s something about time travel that has always attracted me in fiction, so it’s going to be great getting plenty of new recommendations!